The DMV test is the exam or set of exams that all perspective drivers are required to take before they are licensed to drive in the US. Like every other exam, this one requires preparations and practice. We discovered an amazing app that can offer the help you need, an app that can help you crack your DMV test very easily. It is called DMV 2016 and it was released not too long ago on the iOS platform. When you download DMV 2016, you will see how easy it is to use and how simple, yet very useful its features are. The app features more than 200 different questions that can prepare you for your exam - they are all created from DMV Official Manuals. Open the app and select your country (there are 50 states included). Choose from the 5 offered tests and start answering the questions. Answer what you think it’s correct and when it’s not, the app will give you a complete explanation of it. Finish your test and see how you did, review your answers and learn from them for the next time. 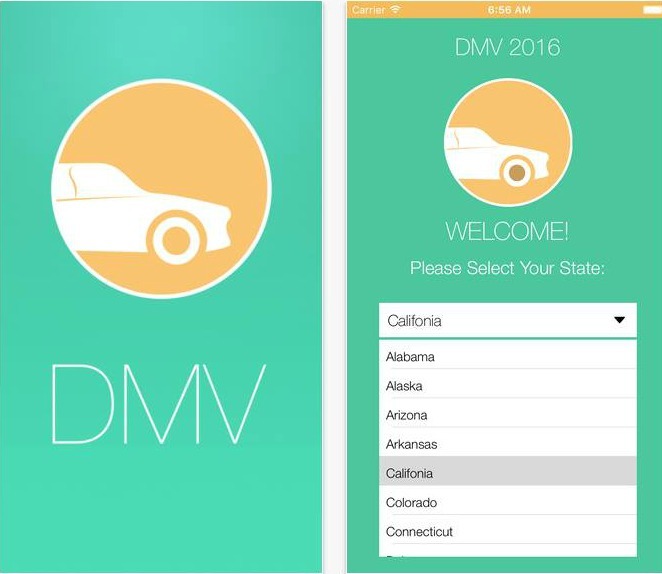 Rock your DMV tests and get your driver licence, let the DMV 2016 app help you out! It works excellent on both iPhone and iPad and it can be downloaded for free from the App Store. You should note that it is free of any annoying ads!